恭禧發財!! Gung hay fat choy! Today's the first day of the year of the chicken or rooster. As a tradition, we always greet each with good saying. Here are some greeting saying. Try using it when you see your Chinese friends. I super excited to share with you this handmade felted penguin in the knitted scarf and headpiece. 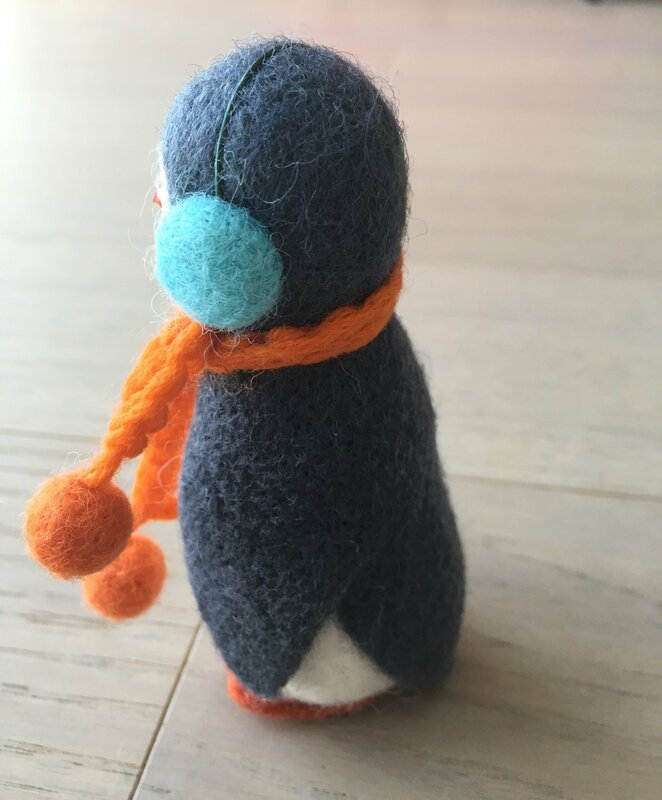 This penguin ornament or soft toy was handmade by Woolen Tenderness own by Lili from Ukraine. It is wearing a blue earmuff and orange knitted scarf. Super cute! Here are some photos around where we I live. In the next couple days, this little penguin will travel with me in NYC subway. Can't wait to share what we did. In the meantime, if you have soft toy you want me to review. Please send them my way.